Dear Dr Sica, while I was imprisoned in Trani, after the revolt from which I disassociated, you sent me an arrest warrant in connection to the kidnapping of D’Urso. This has profoundly offended me, not only because of its judicial impact, even though it is severe, but because once again and after an ordeal of many years (during and prior to my incarceration), this arrest warrant offends my personal and political identity, degrading it to terrorist positions. I have many times now repeated that I have nothing to do with terrorism, but the deaf ear of the mass media compels me to once again repeat this little truth. My disassociation from the Trani events and from the kidnapping of D’Urso is not an improvised enlightenment but an expression of a coherent and consistent political position: the struggle for communism has nothing to do with terrorism. Although I share the motives of the struggle against the regime of the special prisons, I disassociated from the Trani initiative in the same spirit with which I have condemned (and I was not in prison) the murders of Moro and Alessandrini. But I would go further: I believe that in the Italian political situation every political murder is an attack on the struggles of the metropolitan proletarian and the factory workers. In saying this, I don’t expect that I will succeed in being generally believed, because the falsification of my positions has been too extensive, and has already gone so far, on the basis of the old adage: throw the baby out with the bathwater, we are destroying the ferment of autonomy and the freedom of struggles together with terrorism. But I do expect to be believed by those who have now began to investigate the fabric of terrorism and of the movement. The comrades arrested on April 7th and December 21st, 1979 have nothing to do with terrorism. Certainly my hands were soiled within a movement enormous in its extent and rich in its motivations, within which were present strong tensions to armed struggle. But my political and moral will has always been committed, as I believe has that of the comrades of the investigation in which I am implicated, to a struggle against the transformation of the tensions of counter-power and protest into the practice of terrorism. I have no need to disassociate from anything, because I have never been associated with anything which stinks of terrorism. Certainly I dirtied my hands, but I was within a rich and diverse movement. And I believe now more then ever before, that only by doing politics, only by continuing to dirty your hands is it possible to both defeat terrorism and bring the proletarian mass movement to life: defeat terrorism within the movement and within the political dialectic and the programmatic differences which exist within it. With the 7th of April somebody decided that to catch the terrorist fish it was necessary to drain the sea. But as Augustine of Hippo pointed out, the sea cannot be drained. Actually, you are going down the road of criminalization and that’s all. With what result? The successes of the military confrontation leave a desolate and treacherous territory: for the military which experiences the perennial uncertainty of seeing old germs born anew, given that even the most perfect clean up job can’t prevent the seeds from reproducing and the pollen from continuing to fly; and for the natives who can’t relinquish the territory no matter what. It is not through the military struggle and the resultant barbarization of the law (like that of the special laws and prisons), not through the incarceration of an entire generation that the problem of terrorism can be resolved. It is only through the return of political struggle to the movement, with a radical will to destroy the terrorist flight from the mass political struggle, that this goal can be accomplished. That today the objective of destroying terrorism is shared by the State and the autonomous mass forces is not something which frightens communists. But it is necessary to speak clearly, to avoid provocations on both sides. Because in the tradition of the revolutionary worker’s movement, accepting criticism does not mean as the theory of repentance assumes, to give credit to the present state of things and renege on the basic loyalty which characterizes every human association. What I am saying is a majority opinion in the prisons and perhaps also in the movement outside: it is a majority opinion, because for many as for me, it is a matter of conforming with their usual clearheaded standpoint; for others it is the result of profound and sometimes hopeless reflection, over the course of these years. But to reach a result beneficial to all, to close a period of great struggles and great errors, it is necessary to return to personal identity, and on this basis to reopen the political debate. It is necessary to say “no to terrorism”, “enough with terrorism”, but this becomes possible only if the arrogance of repression bends in the face of the communist logic of the movement. In my opinion, it is only in this way, that hope can return. But I will return to the reason for which I write. I do not believe that an infernal machine of repression-retaliation, which implicates everyone, can somehow help to resolve these problems, negating personal individuality with photocopied arrest warrants. Personally I have never been a terrorist, and if I dirtied my hands, it was certainly not to form armed gangs, but to block the tensions which were producing them within the movement. I do not recognize myself in your arrest warrant. I continue to think and to act because disassociation is not an individual episode but a collective slogan of hope. I offer you my greetings. 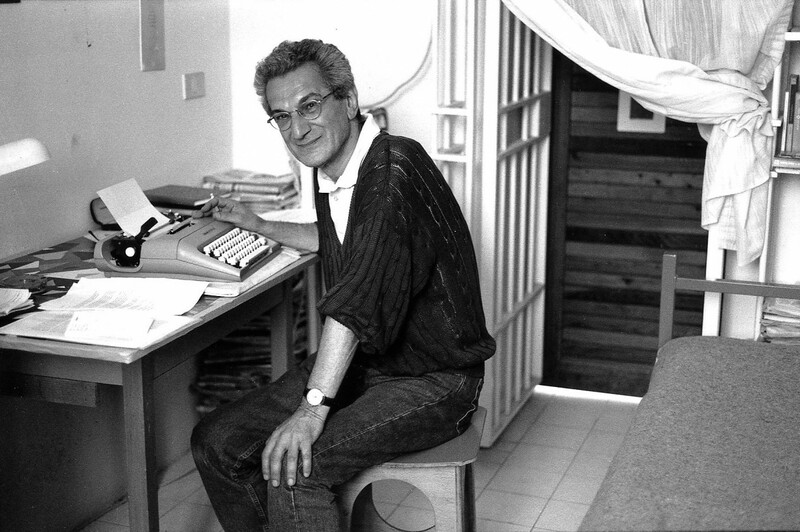 Toni Negri, March 12th, 1981.